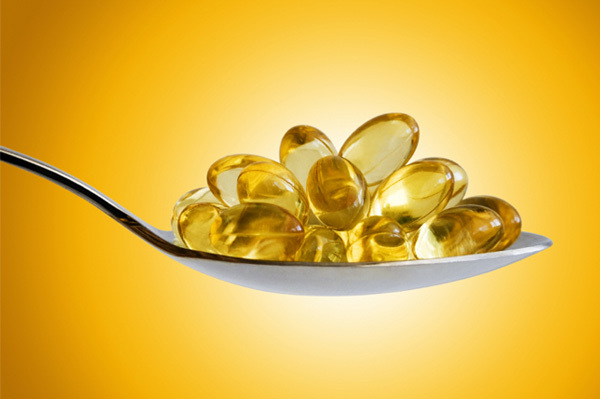 Anything classified as a “fatty acid” sounds far from healthy, but omega-3’s debunk that idea. Consuming these essential fats can be a vital step to improving your health. Omega-3’s have been associated with a wide range of health benefits, from reducing symptoms of depression and ADHD to relieving joint pain and boosting the immune system. But where do omega-3’s come from and how, exactly, do they improve your health? Read on to find out. So what are omega-3 fatty acids, anyway? The answer requires a bit of a chemistry lesson. Omega-3’s are polyunsaturated fats, which get their name because they contain more than one double bond (hence, “poly”). More specifically, omega-3 refers to a double bond in the third space from the end of the carbon chain. Because of this unique chemical makeup, polyunsaturated fats, especially omega-3’s, are far healthier than the “bad” fats, like saturated and trans fats. HOW DO OMEGA-3’s BENEFIT THE BODY? The answer is complicated. When omega-3’s replace “bad” fats (for example, if you stick to a diet of salmon as opposed to burgers and opt for walnuts over potato chips), they work to lower your risk of heart attack and stroke by stimulating the production of chemicals in your body that help control inflammation in the joints, the bloodstream, and the tissues. This process can also lower triglycerides, helping to prevent heart disease, and may produce hormone-like substances with anti-inflammatory effects to treat everything from rheumatoid arthritis to lupus (Read The Anti-inflammatory Diet). And a recent study released by the Journal of Clinical Psychiatry claimed yet another benefit of these healthy fatty acids – supplementing with omega-3’s may reduce symptoms of depression among pregnant women. Since omega-3’s are essential fats, they are not produced naturally by your body. So you have to obtain them through food, especially fatty, coldwater fish like salmon, herring, and mackerel. Don’t like fish? You can load up on other omega-3-rich foods like walnuts, broccoli, cantaloupe, kidney beans, spinach, grape leaves, or cauliflower. You can also opt to pop supplements like chia seeds, fish oil, or flaxseed oil. Keep in mind that as long as you are getting the recommended six to eight grams per week, your body will reap the benefits of these oh-so-awesome omega-3’s.